IMPORTANT: Valoya sells LED grow lights for the cultivation of medical plants (e.g. 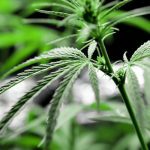 Cannabis sativa) only in those countries where it is legal to do so and only to those customers who are in possession of appropriate cultivation licences, as defined by local laws. Superior quality light spectra inside high performance LED luminaires can expedite the growth cycle and produce plants with greater flower dry weight and a higher concentration of Δ9-tetrahydrocannabinol (THC), cannabidiol (CBD), and other secondary metabolites. 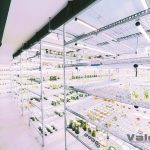 Valoya’s spectra have gone through years of independent testing for their effect on the medical cannabis plant against traditional lighting technologies such as High Pressure Sodium (HPS), Metal Halide (MH) or fluorescent lights. We offer high quality LED solutions for all phases of medical cannabis cultivation, from seed to flower. Valoya Canna+ is our line of LED grow lights for medical cannabis cultivation. The light spectrum is ultra-wide – it includes wavelengths beyond the PAR area (400-700 nm) such as far-red and UV-A. Thanks to this growers can expect to have plants with high dry flower weight and high concentrations of secondary metabolites. From Seed to Flower. 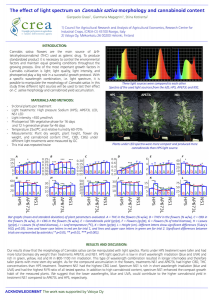 Consistent Yields & Cannabinoid Expressions. Suitable for GMP Compliant Facilities. The Valoya Canna+ spectrum is the widest LED spectrum in the market. It includes wavelengths such as UV-A which results in cannabinoid rich plants. 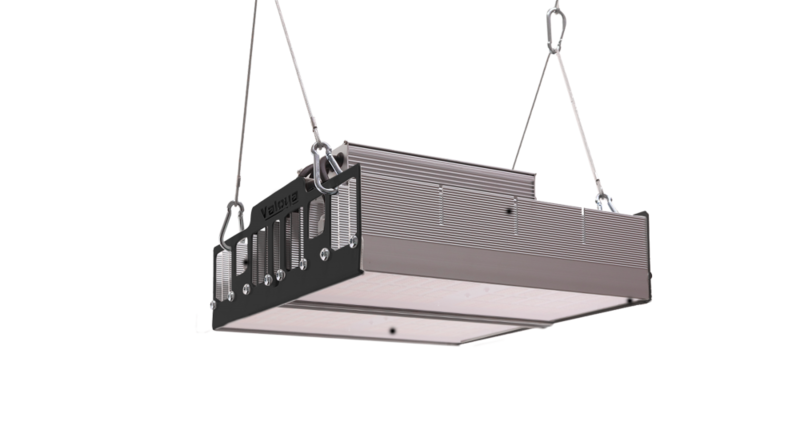 It also has the highest CRI (color rendering index) value making it a very pleasant white light under which colors render naturally. 320 µmol total PPF output. We recommend setting up 4-5 bars on a 4′ x 4′ (1,2 m x 1,2 m) area which will result in PPF output from 1280 µmol until 1600 µmol. CE marked. Tested and certified to UL/CSA standards. 940 µmol total PPF output. The development of our cannabis specific spectra is a result of years of research and they have been created with the most demanding, GMP compliant facilities in mind. We understand that fast bench turns with increased yields of secondary metabolite packed plants is what our customers need, consistently, cycle after cycle. Our team of biologists will track the progress of your yields and advise accordingly to help you reach these goals. The cannabis plant benefits from high light intensities as well as a finely tuned spectrum. The brighter the light, the greater the yields. However, after a certain PPF value, the yield increases slow down and do not justify the energy needed nor the number of LED fixtures. This is why a carefully developed and cannabis optimized spectrum is a better guarantee of success as it will help you produce plants with industry leading secondary metabolite expressions at the optimal level of energy invested. Valoya has tested more than 60 LED spectra over the past 10 years in order to find highest quality light for plant cultivation. Valoya Canna+ is our Cannabis sativa plant specific spectrum and is the widest spectrum currently available on the market. ‘ highest in the industry. 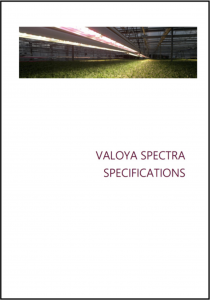 Valoya is the first LED grow lights manufacturer to publish a spectrum quality standard offering guarantee that the spectrum variation across product batches and generations of products will be within strictly defined bounds. Growers using our lights can thus expect consistent yields and cannabinoid expressions when acquiring more Valoya lights, current and new versions as well as when getting replacement lights. A result of years of research, Valoya’s spectra for cannabis have been found through independent research to result in industry leading cannabinoid expressions and plant biomass. 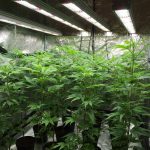 All spectra are full (wide, continuous), patented and have been developed through testing against HPS, monochromatic LEDs and some competitors’ LED grow lights. Valoya’s lights use high efficiency LEDs and passive cooling, resulting in minimal heat radiation towards the plants. 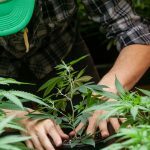 The small amount of heat that is created, radiates upwards, leaving the plant unaffected and enabling getting as close 4″ (10 cm) from the canopy. Valoya’s products are designed to have a long use life, typically 50 000 hours after which the light efficiency drops to 70%, which in most cases leads to a productive life of 7-8 years and beyond. 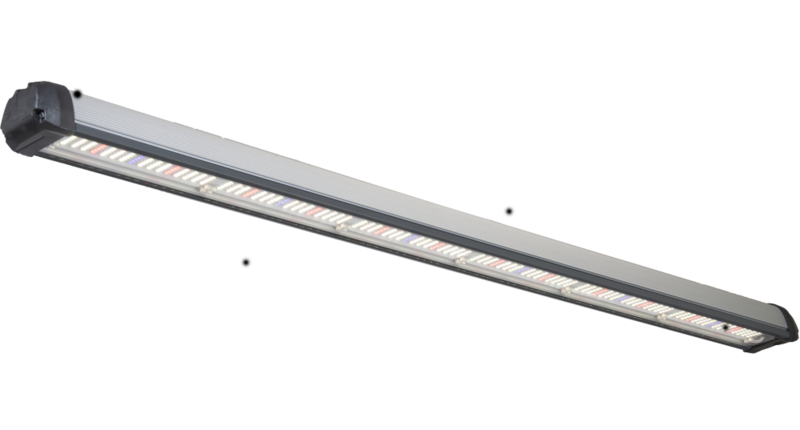 The long use life is a result of excellent thermal properties of the LED fixture and the high quality power units used by Valoya.